Flavor: very little astringency, an abundance of natural sweetness in the flavor. An easy-to-love Taiwan high mountain oolong. Gao shan teas exemplify the concept that some teas can be re-steeped multiple times and yield an incredible volume of drinkable tea. This idea works best when the leaf is steeped in a small vessel, but it can also work using a large teapot. This is done with a quick application of hot water that is poured over the tea in the gaiwan or teapot and then immediately discarded. The rinse water is not drunk – its purpose is to help the tea leavesprepare to open during steeping. Use additional appropriately-heated water for the 1st steeping and subsequent re-steepings. NOTE: If Jin Xuan oolong is rinsed, that will diminish the milkiness of the steeped liquid, so either try it without a rinse, use cool or even cold water for the rinse, or enjoy it with less creaminess. Our 2018 Winter Jin Xuan Milk Oolong is from the same tea garden as our 2018 Winter Alishan gao shan, and we highly recommend it to tea enthusiasts looking to taste a delicious, easy-to-love Taiwan high mountain oolong. Mary Lou was so impressed when she visited this tea garden a few years back that we have had their gao shan offerings both spring and winter ever since that personal visit. Our tea maker produces clean, delicious and very floral gao shan teas. We find that this particular Jin Xuan has a little bit of extra richness and well, creaminess, in the cup that makes it so “outstanding”. The Jin Xuan tea bush cultivar (Tai Cha #12) is sturdy and larger-in-size than the local Alishan tea bushes. 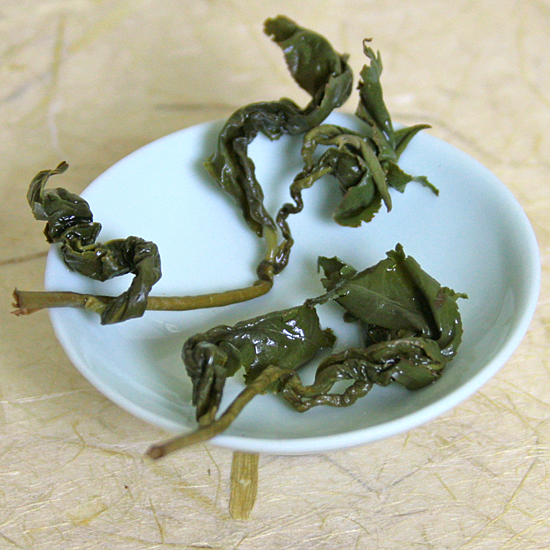 The leaf is thicker and less delicate – this gives Jin Xuan a higher percentage of amino acids in the cup which results in a chewy-er mouthfeel. There is quite a bit of misunderstanding about what milk oolongs are, and sadly there are many low-quality examples of this fine tea dogging about, too. Milk oolong is really a buyer-beware situation, and we often avoid walking right into the eye of the storm when it comes to tea controversy and confusion. But this tea is so good that we wanted to shed some light on what milk oolong is (and what it isn’t) and introduce the real-deal to our customers. Simply put, these are lovely, sweet, lightly-roasted semiball-rolled style oolongs produced in various regions of Taiwan, from the Jin Xuan Tai Cha #12 tea bush cultivar. All of Taiwan’s great oolongs begin with a specific tea bush cultivar that, in conjunction with the unique terroir of each location, influence the flavor of the tea. Although Jin Xuan is a relatively new cultivar (developed in the 1980’s) it is now one of Taiwan’s four main tea cultivars (dozens of cultivars and varietals are grown throughout Taiwan) and the cultivar behind the marketing of milk oolong tea. It is the flavor of the fresh leaves from these tea bushes that is transformed into the soft, creamy, ‘milky’ flavor that makes this tea so popular. 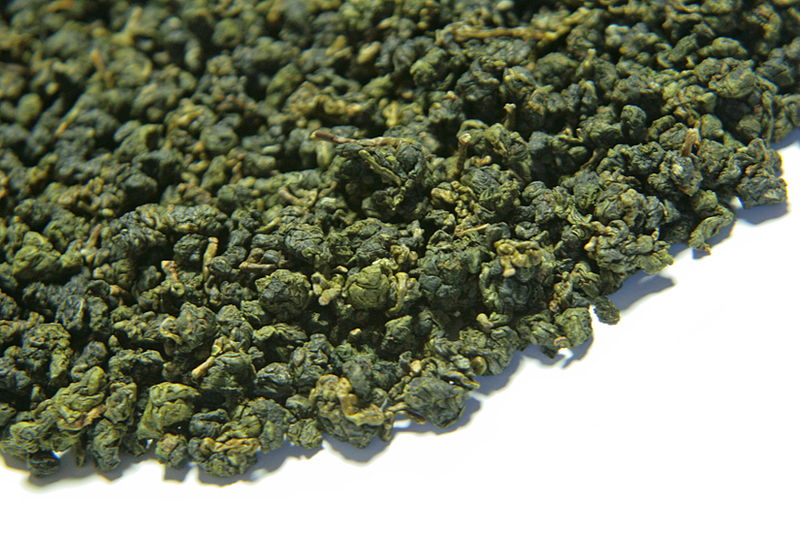 Try our milk oolong and you will see that it has very little astringency and an abundance of natural sweetness. This tea has been given a very light roasting, which enhances the milk fragrance – nai xiang – of the tea. 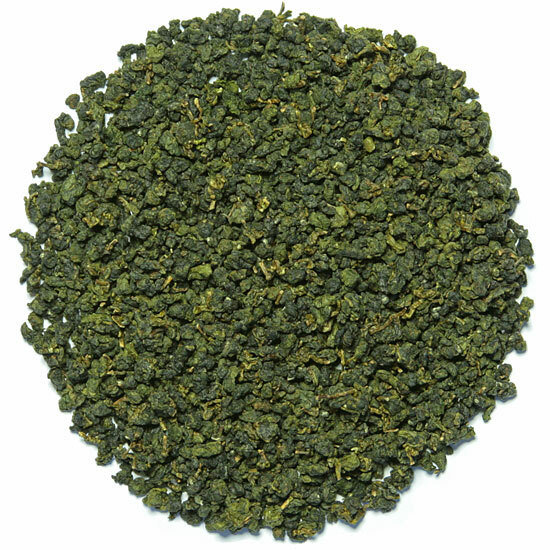 Real milk oolong tea is very appealing and delicious, and very popular in Taiwan and abroad. However, it is important to understand that absolutely no milk is involved in the production of real Taiwan ‘milk oolong’. Really? Milk….really? Milk is not abundant in Taiwan (or any parts of East Asia, in fact), so how does this make sense? Anyway, our customers can rest assured that our milk oolong is the real milk oolong, and should not be confused with an imitation of milk oolong or a low-quality tea that has been artificially-flavored with a so-called ‘milk’ flavor. Real milk oolong is a natural Taiwan tea original, and has never seen the cool white-soul of the liquid inside a bottle of milk.